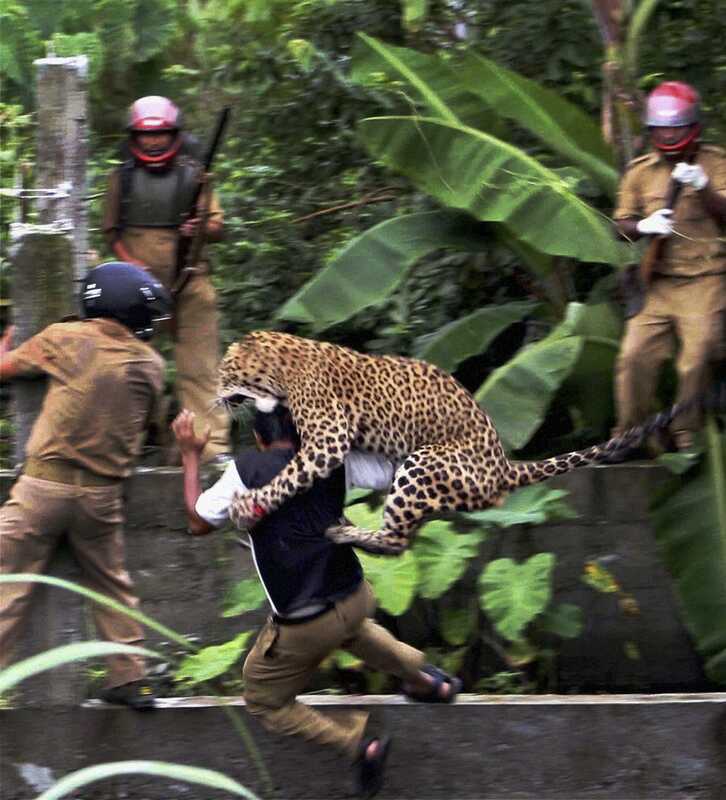 A leopard strayed into a village near Siliguri in India and mauled several villagers, including three guards. 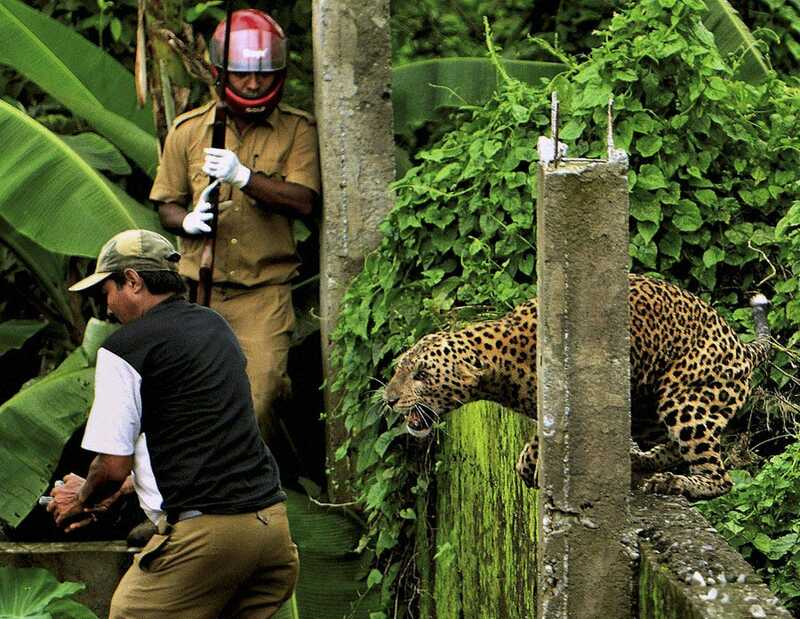 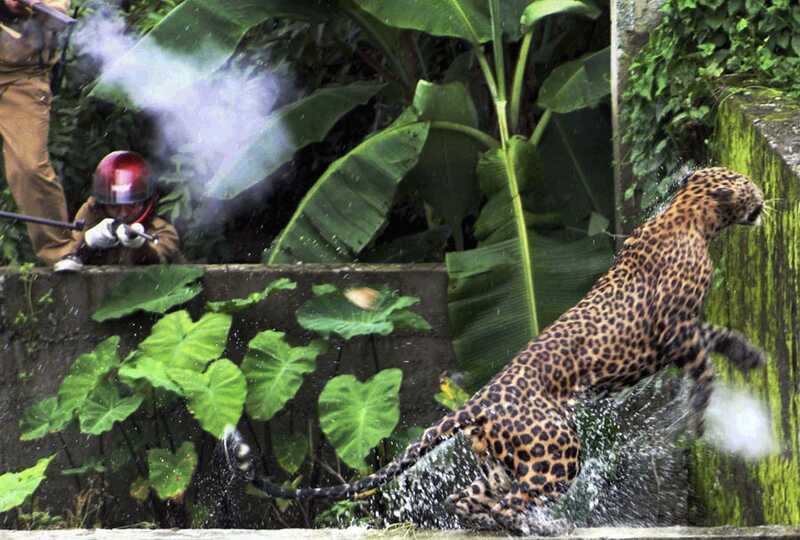 The leopard was captured and later died after injuries caused by knives and batons. 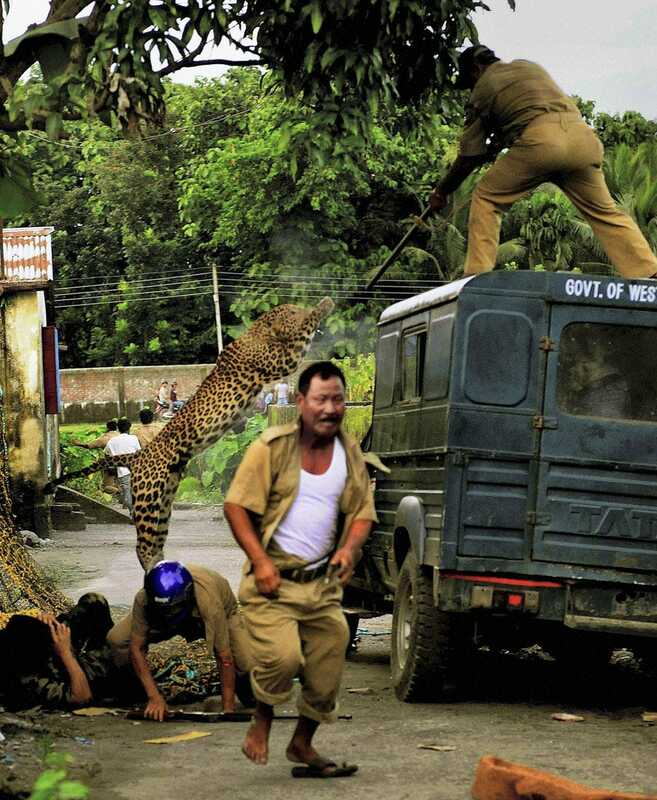 These amazing photos were released by the AP.